I've installed tenfourfox, however it doesn't go to the page that I am trying to navigate to, regardless of which page that is. Won't even do a google search. Any suggestions? I'm currently using safari, but downloaded this product because my job site is no longer compatible with safari. Please help! Liz, can you be more specific? Does it not go to URLs you type, or links you click on? Have you tried any of the suggested solutions such as a new profile or starting in safe mode (see the suggested article)? It doesn't go to URLs typed--won't google search in general-I'll see the article and see if it helps. tried restarting in safe mode, but that didn't help at all. I've actually gotten the browser to work by resetting proxies, but I'm having issues with one site in particular that is my work site. I can't log in. If you have any thoughts please let me know. Thank you! Liz, have you tried logging in with a new user profile? 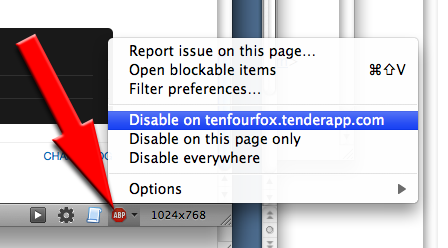 Quit TenFourFox and go to Macintosh HD>users>[your name]>Library>Application Support in the Finder. Move the Firefox folder to the desktop (don't delete it). And the sign in box does nothing when clicked on. At this point, I'll probably need to know the specific web site to see what's wrong. If you don't want to make the address public, you can send me a private message at ch****[email blocked] (the complete first part of the address is in parentheses in my support staff name above). If you need my login information, let me know. Of course I'm not going to ask for your login data. It's not necessary to have them. Okay – I can reproduce the problem, it's exactly as you stated. I am able to send login data in Safari 5.0.6, however, so the website itself works. Right now, I'm investigating. Tried it on 7450; when clicking on Sign On I get an error message, as expected. Liz, you don't happen to use Adblock? 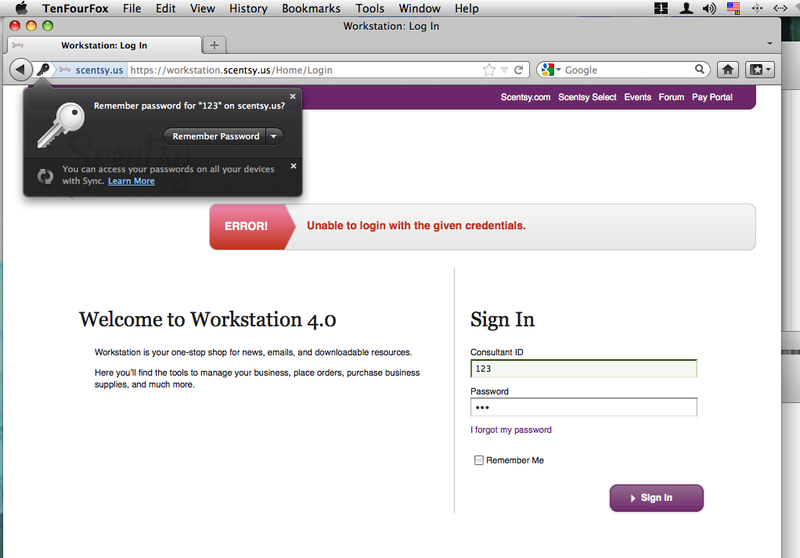 When I disable it, I can log in (I mean, of course I also get the error message because I don't have the password). I'm also able to send login data in TFF 10.0.3 with a fresh user profile (which naturally has no Adblock installed). How would I disable this if I had it? See screenshot. If that's not it, I encourage you to try again with a fresh profile. There's definitely something in your user profile that prevents the Sign in button from functioning correctly. Maybe another addon. Liz, please reopen this if the issue is still occurring for you. Cameron Kaiser closed this discussion on 13 Apr, 2012 02:59 AM.